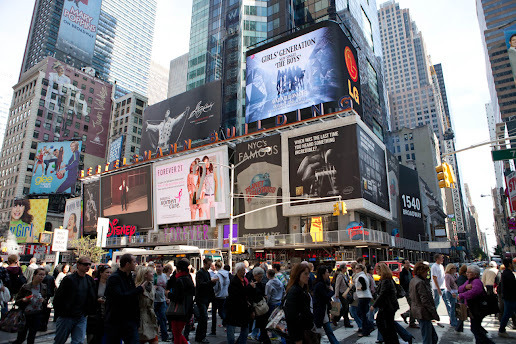 Teaser Video for “The Boys” is Seen on Electronic Boards in New York, Tokyo, Beijing and Seoul! ‘The Boys’ will be Released all Around the World on Oct. 19th at Midnight (Korea time)! The teaser video for Girls’ Generation’s new song ‘The Boys’ has been seen in major cities through electronic boards all over the world and such global promotions are making headlines. From Oct. 17th, the teaser video produced with the highlights of ‘The Boys’ music video is being played through electronic boards to announce the comeback of Girls’ Generation. 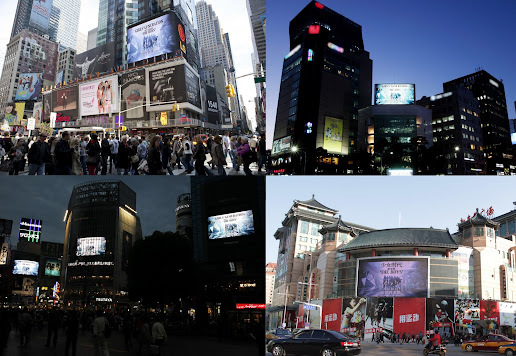 Teaser video is being played at Times Square in New York City, Tokyo including 5 areas such as Shibuya, Shinjuku, Harajuku etc., Wangfujing Street in Beijing and Gang-nam Subway Station in Seoul. These electronic boards will play the teaser video for up to one month. Besides the electronic boards, Girls’ Generation will attract US fans’ eyes by releasing the new song ‘The Boys’ through iTunes from Oct. 19th worldwide and they are also planning to release the maxi single in the US in November. Meanwhile, Girls’ Generation will present fancy comeback stage on the 21st through ‘KBS Music Bank’ and begin performing ‘The Boys’ in earnest. OMG!!! I'm so exciting!! <3<3<3 Girls' Generation, FIGHTING!! Girls generation!!! I love you all so much!!! This song is fantastic and it gets my blood pumping everytime I listen to it!! >ㅈ< I really hope you'll come to Kuala Lumpur, Malaysia for a concert!!! Tons of fans will be looking forward for it!!! Last but not least, Jessica I love you ultimately!!!! ^ㅈ^ 소녀시대 화이팅!!! Why i cant see SNSD The Boys MV english version ?? :(( Do you hate me or SONE ??? 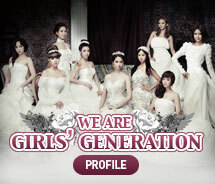 Woot an offical blogspot for SNSD!!! Time to stalk it 24/7!! Long wait, but finally... Korean Comeback! yay! N soshi please make your comeback be the best one..
We always with u guys..
OMG! This is the best blog ever! Thank you so much for everything, Girls Generetion FIGHTING!! can't wait to see them live on stage! Yoona you are so pretty! good thing we have kbs in our tv so i can watch your comeback! right now its girls' generation! soshi hwaiting! and please come to philippines.. philippine sones are all dying to see you in person! cant wait till tomorrow !! wana see the comeback !!! <3!! I really can't wait for their comeback tonight on music bank. Espero que pueda verlas algun dia en SMTOWN PERU. hmmm.... the new song "The Boys": at the beggining of his music is similar with Rihanna "Only girl in the world"
can´t wait to watch Music Bank! Here is my submission for The Boys Vocal Contest! Check it out so I can hopefully have my video viewed by Choi Sooyoung! I'm so proud of Girls Generetion. I love you, YoonA !! Waiting for the comeback perf.